Thursday night versus Pittsburgh I was ecstatic to hear Aaron Rodgers would take the field, weren’t you? On the edge of my seat, locked in, admittedly I sat back and relaxed as our defense took the field first. Just a little bit longer and we’ll see Rodgers throw a frozen rope to Graham or Adams, I thought. Alas, on the first play from scrimmage, I appreciate Tramon Sr. for reminding me not to sleep on this defensive. As thrilling as a hail mary may be, the pick six ranks as one of my all-time favorite plays in football. This year I asked Dean Lowry to sign a photo of his pick six from last year versus Tampa Bay. “Cool photo,” he said. I agree – super cool Dean! If a pick six doesn’t set or reset the tone of a game, I don’t know what else does. Am I right? Watching the game from my couch always delivers different perspectives. Seeing Davante Adams being interviewed live with 12 minutes left in the 3rd quarter during Josh Jackson’s pick six was priceless. “What was the question?” he asked mid-interview, distracted by the excitement on the field. More than one pick six in a game? Outstanding! It really inspired me to go against my consistent fantasy football draft strategy. Shelving the strategy that has served me well in the past four years I’m going on gut. Defense wins championships. With the 10th pick in the 4th annual ladies only fantasy football league I selected the Packers defense. Our league is as stereotypical as it sounds. I can’t share the league name; but I’ll tell you it’s definitely both clever and vulgar. 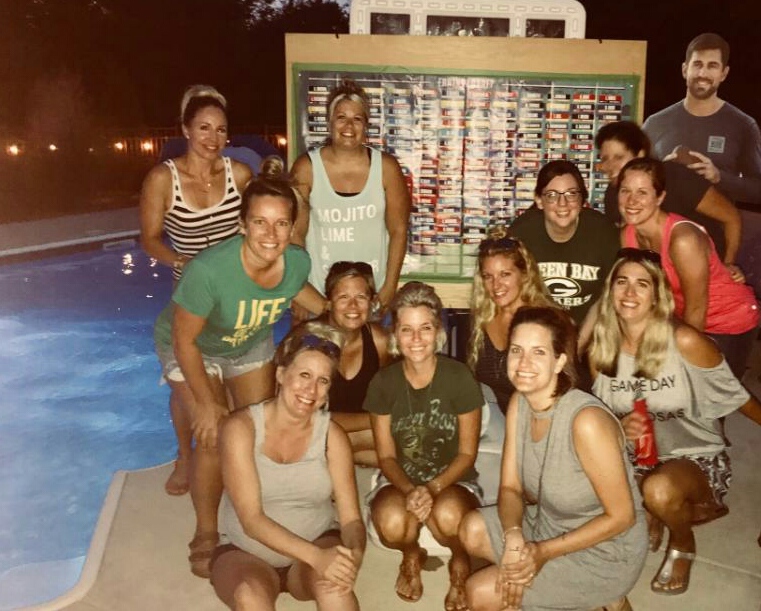 Jenny is a detailed host who has saved every draft board year-to-year and we can count on Amber to bring the life-size cut out of Aaron Rodgers, for photo opps, obviously. I brought White Claw to sip on, but the penalty for selecting a player who was already drafted was to take a shot. First penalty came in the second round, oops! Needless to say, we have a lot of fun. This week I am most looking forward to hearing “Go Pack Go” on the road in East Oakland. 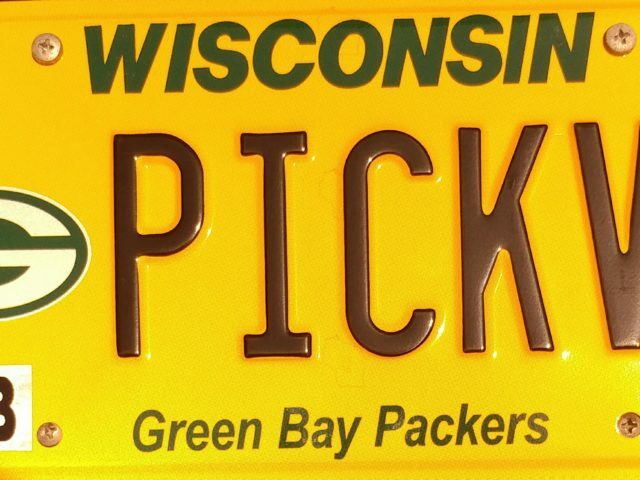 I know our Packer family in California won’t miss this opportunity. If you’re thinking I’d close this week without mentioning the Rodgers to Graham touchdown, you’re sleeping on me. The Happiest of Birthdays to Our Green Bay Packers! This entry was posted in Authors, Packers 2018-2019 Season, Sarah Szejn and tagged Davante Adams, Dean Lowry, defense, Fantasy Football, Green Bay Packers, Iowa, Josh Jackson, Pick Six, tramon williams, White Claw. Bookmark the permalink. Pick sizes were good, but they came from a backup QB. Put things in perspective folks. Big Ben, Antonio, and Bell weren’t even playing. Da. Also the defense was literally RUN over! I have concerns when a backup back, Connor, runs wild! !